Madison Power Systems has provided our customers with a high quality, reliable and affordable product for 45 strong years. Madison Power Systems started in a small shop in Madison Heights, Michigan in 1967. The primary focus of the business was rebuilding generators and starters for cars and trucks. 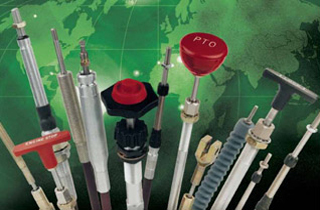 As a master distributor for Felsted® and Orscheln® Products, we have a full complement of Cable and Control products to met both custom and OEM production needs, as well as a multitude of service applications. Jump starts up to transit, military and off-road equipment. Air Compressor for air tools and tire service. 11-900 series Start•All units are specifically designed for mounting in or on a service truck utility body. Madison Power Systems is a master distributor for Orscheln® Products. We offer both standard hand and foot parking brake levers as well as the capability to design custom control systems. Please click on the link below for Construction Diagrams, Engineering Specs and Information on our Cables, Controls and Parking Brakes.